This skimmer leaf net is designed for removing debris from pool, spa surfaces. 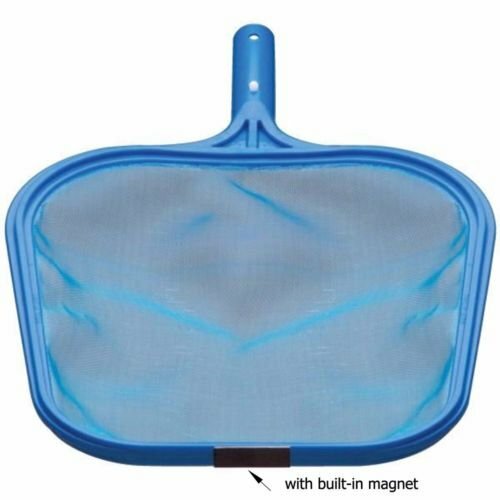 Great Durable Plastic Leaf Skimmer Net With a Magnet Tip. Fits a standard 1-1/4" aluminum pool pole (not included). Also Works in Fountains, Ponds, spas, Hot tubs, aboveground pool surfaces.